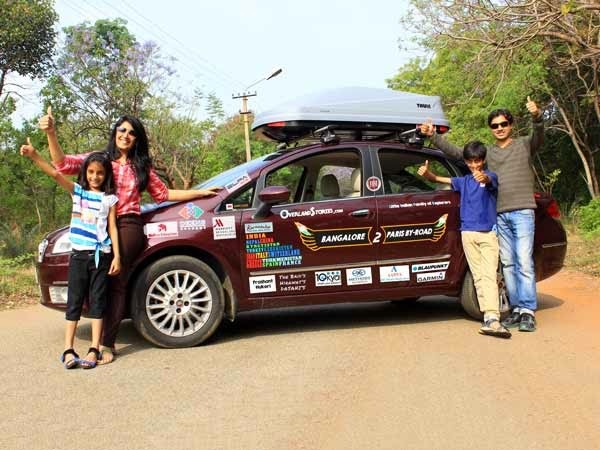 Fiat on Sunday was proud to announce its support to the team L.I.F.E (Little Family of Indian Explorers), which will take on the daunting task of covering 15, 000+ kilometers in 99 days. The sojourn will see them head along the various countries across the Northern Hemisphere. Nepal, China, Kyrgyzstan, Turkmenistan, Uzbekistan, Italy, Greece, Spain and France will serve as their pits stops. The intrepid family of 5, consists of Anand and Punita Baid, accompanied by their children, Yash and Dhriti Baid and their sturdy Fiat Linea. The robust car, boasting of features like 185 mm ground clearance, 16 valve T-jet engine firing a 114 Ps with 207 Nm of torque at 220 rpm. With its well-defined driver friendly features (rain sensing wipers, Auto AC, Blue and Me) ensures effortless, comfortable drives; it will allow the family to take in the scenic beauty that their route has to offer, rather than bother themselves with the constant adjustments their trip demands. 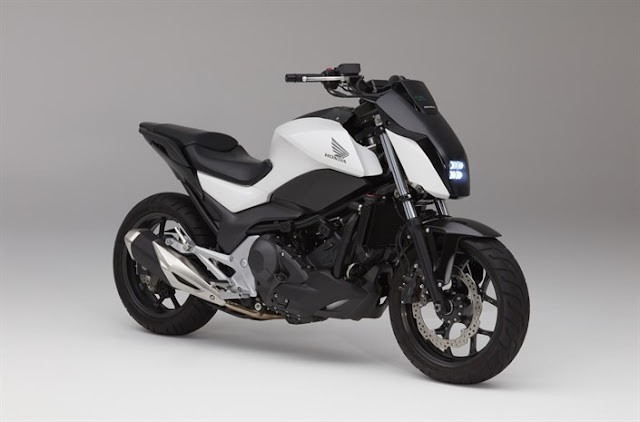 On this occasion Sanjay Gopal, AVP Marketing at Fiat Chrysler India Operations said, “It is an extraordinary venture that team L.I.F.E is taking up. 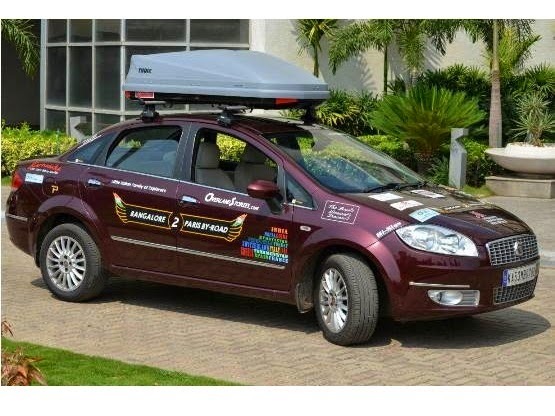 The road trip from Bangalore to Paris is an extensive region to cover and we are glad Fiat Linea T- Jet is part of their journey. We will extend our support in all the ways possible and we wish them all the very best for this adventurous journey”. Anand Baid, team member of L.I.F.E, said, “We are proud owners of Fiat Linea and we feel confident about its strength, power and driving comfort. 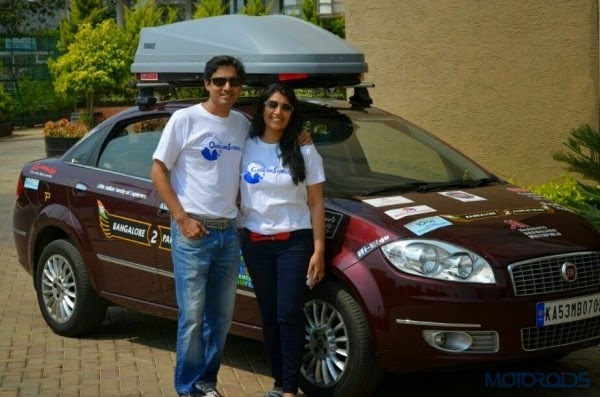 We are very excited to do this expedition in the Fiat Linea T-Jet. We have received adventure gear and travel kit support like tents, storage bags, sleeping bags, GPS units, tyres, roof-box, sun-films, audio systems, car service and ton of other stuff by our supporters. We are also incredibly grateful to our family and friends who have come forward to support us in ways unimaginable and we will remain forever grateful for such wonderful gestures”. The journey would commence from Bangalore covering a drive of over 15,000 kilometers and over a span of 99 days. The route is India > Nepal > China > Kyrgyzstan > Uzbekistan > Turkmenistan > Iran > Turkey > Greece > Italy > Switzerland (Alps) > Spain > France. Each country will offer new geopolitical experiences. The L.I.F.E team will face all challenges head on, braving the rocky terrains of Kyrgyzstan, swimming in the Turkish Black Sea or driving through the Swiss Alps, before making their last stop at France. This unusual expedition will be thoroughly documented, covering various facets of the trip, right from the preparation details to the memorable experience of the L.I.F.E family.